Calvin: I feel so empowered. No wonder they wear these things. Who wouldn’t wear one if they would feel like this??? 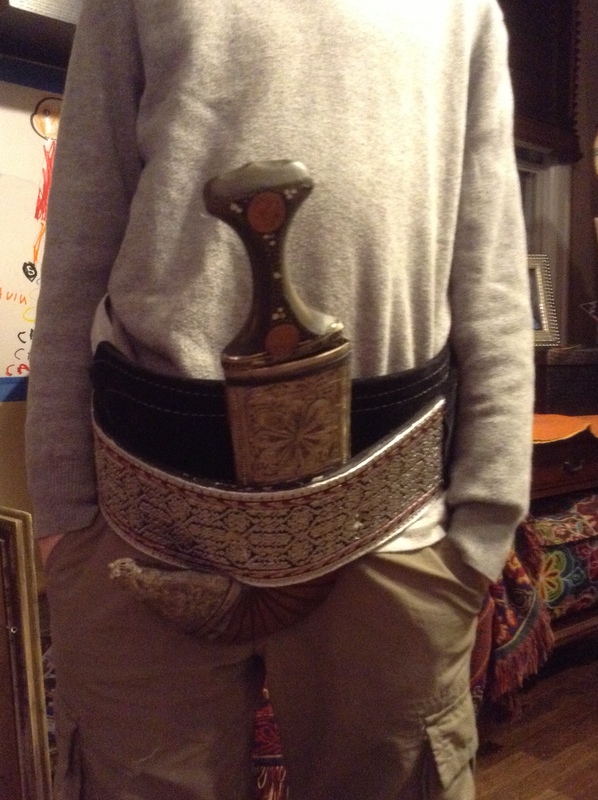 The knife, or dagger, is called a Janbiya. It is curved and enclosed in a sheath. Men in Yemen wear it as an accessory. Calvin proudly wore his Janbiya to a few dinner parties and stood tall with the knowledge that he was carrying on a tradition from an amazing country. I am en route back to the US from Taiz, Yemen. A city with a history of commerce and intellectual thought, Taiz, known as a home of opposition voices, is the second largest city in Yemen and is nestled by mountains. Together with other countries including Tunisia, Libya and Egypt, Yemen joined the Arab Spring movement against authoritarian rule in the Middle East and North Africa. 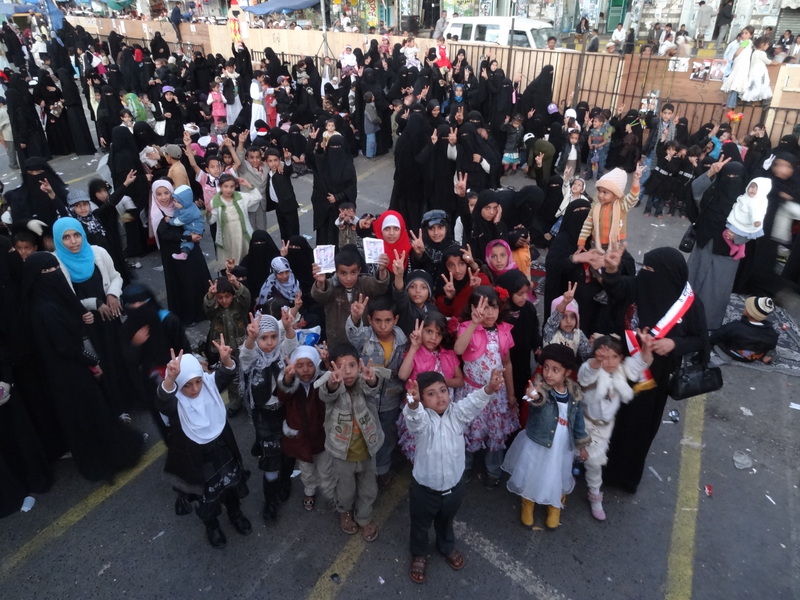 Calling for the then President Saleh to step down, protests began in Taiz on February 11, 2011. 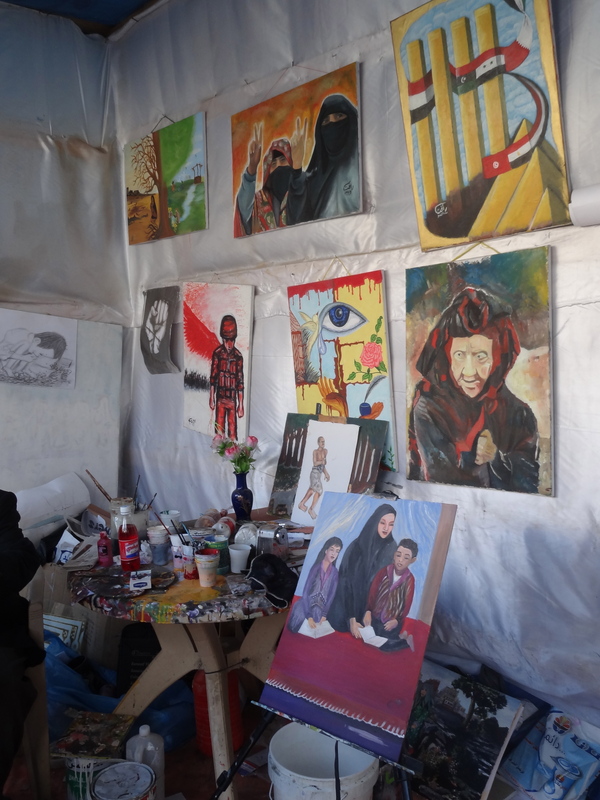 As their fellow Yemeni protestors did in the cities of Sana’a and Aden, the protestors in Taiz set up tents in what is known as “Freedom Square.” The government deployed troops, artillery and snipers against them. Local tribal leaders’ militia got involved on behalf of the protestors, resulting in an armed conflict that continued for months. 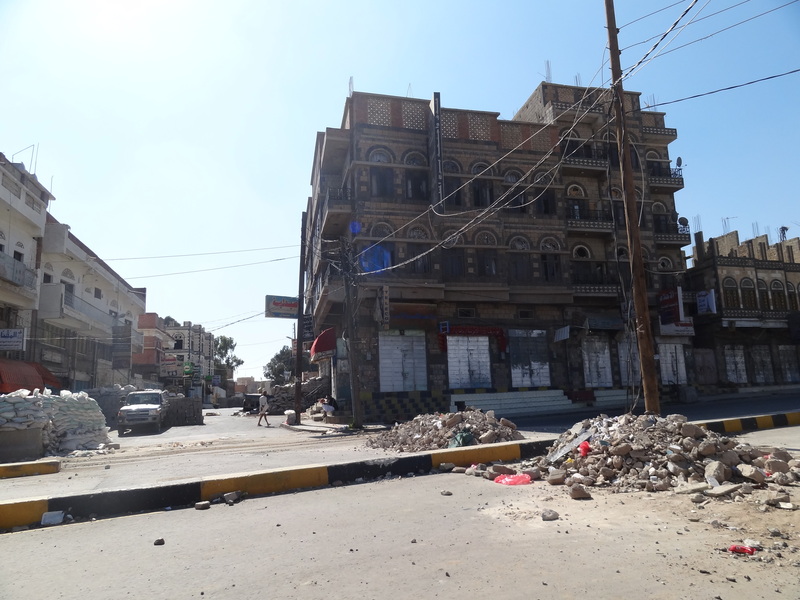 Government crackdowns on the protest movement in Taiz continued beyond the signing of the Gulf Cooperation Council (GCC) agreement in November 2012 and Saleh stepping down. Many protestors and bystanders, including children and women, have been killed and injured since the protests began. I am not here for revenge but to bring evidence of crimes. Had there been earlier accountability, we could have prevented later bloodshed. Making people accountable now will prevent future conflict. Impunity will result in more conflict. The focus on vengeance only begets greater problems, including a return to the cycle of violence. The focus needs to be on social harmony. There is an evolution of the Arab world and in Yemen. We need tools of the future for a modern state. We cannot return to the old ways of doing things. We have different ideologies and positions but we all need to respect and listen to each other. The cycle of the past should not be replicated. We do not want history all over again. If the country falls, it will fall on everyone’s heads. There is the need for unity of people and national and inclusive dialogue should be accommodated. 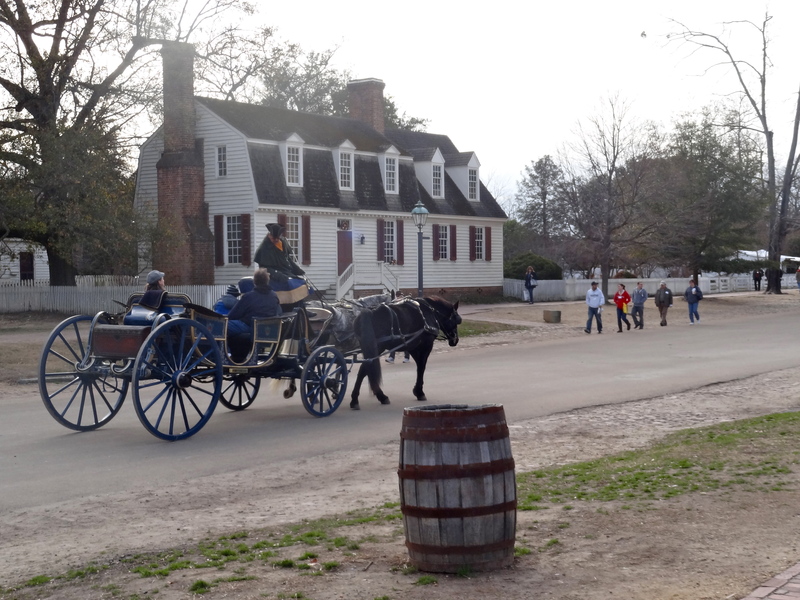 My family and I spent the past week in the American state of Virginia, touring Williamsburg and Yorktown, crucial epicenters of America’s revolutionary past. A history, as every American schoolchild learns, that involved colonialists who, over a period of more than 150 years, grew increasingly disenfranchised by their royal sponsors. Sponsors who, rather than embrace the emerging entrepreneurial and independent spirit of their profitable colonies, exerted increasing control and then violence in an attempt to force fealty to the crown. As a result, the British, as we learned in school, became increasingly oppressive. So our founding fathers (in the 1960’s, when I was in school, our founding mothers had yet to find their way into the pages of history) stood up to the crown and started a revolution, demanding the rights of life, liberty and the pursuit of happiness for every American. America won its independence from the superiorly trained and armed Brits, who never seemed to take the threat posed by the upstart Americans seriously, until after it was too late. So, for my family holiday, as we spent countless hours walking the battlefields, visiting museums and reading heroic and harrowing accounts of our own past, I found myself contrasting America’s own revolutionary heritage to those sweeping the globe as I type. On this last day of 2011, I survey in awe, amazement and wonder at the transformations taking place in Tunisia, Egypt, Yemen, Syria and Libya. 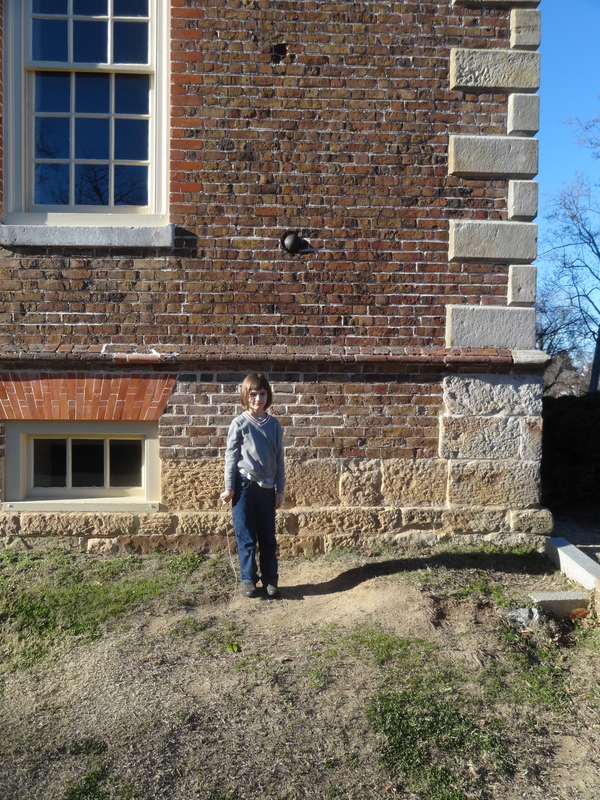 Yorktown historical house with canon ball lodged in the wall. 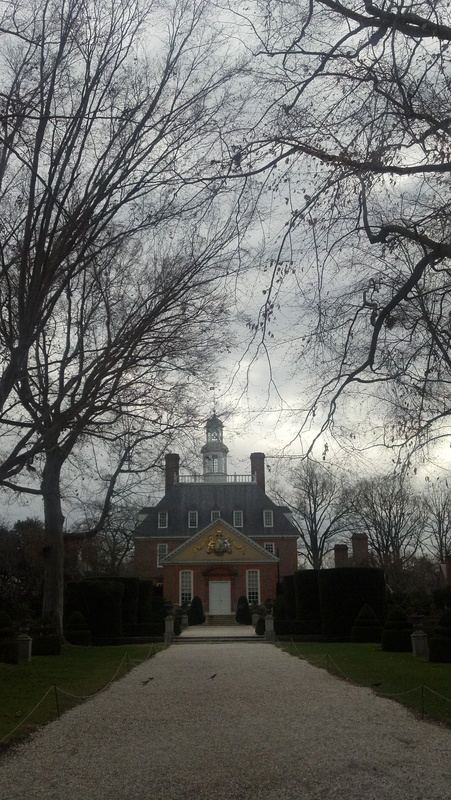 British General Cornwallis lived in the house at the time. The parallels to the period surrounding our own revolution are striking. The American revolution was followed by one in France. Today, the Arab Spring is following a similar path. People in North Africa and the Middle East are rising up for change, in many cases risking everything to demand the end of tyranny, corruption and the autocratic rule of their leaders who have often maintained power by sowing violence, favoritism, division and perpetuating one never ending crisis after another. With the exception of Tunisia, which has maintained its peaceful transition, and Libya which has remained fairly stable, Egypt, Yemen and Syria are each in quite different stages of change. Change though, in each, is inevitable. It is apparent that the tipping point has already been reached in each and the genie unleashed will never go back into the bottle. The only question that remains is the level of violence and human tragedy that will result. 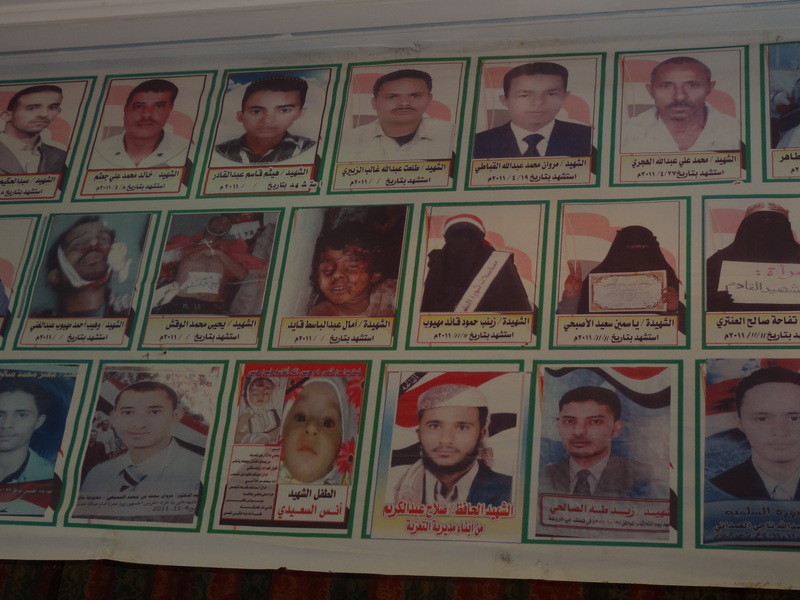 I recall speaking with a young Yemeni activist last month when I was in Sana’a who said that since the revolution started in Yemen last February, she has marked the time by memories of being attacked by security forces and burying her friends. As a result, she has lost any sense of fear. With so much that has happened, she feels she has no other option but to continue on and push for the change that motivated her and thousands of others to take to the street peacefully and demand a government that is accountable, just and responsive to its people. An obvious New Year’s wish is that the powers that be in Egypt, Yemen and Syria will see the writing on the wall and concede to the demands of their people and allow for a peaceful transition. And that those who are pushing for change will remain peaceful, unified and avoid fights among themselves that can be exploited to sow division. Further, that for those that step up and govern, that they govern with fairness and inclusivity and not fall into the footsteps of their predecessors. We can also hope that Tunisia will continue to be a beacon of peaceful change and that Libya will stand firm in its peaceful, inclusive transition. I know it is possible—not easy—but possible to hold it together. A few weeks ago, I met with a group of Tunisians at the National Defense University who were visiting the US to learn about governance and accountability. It was an amazing group from their Ministries of Justice, Interior, Defense, Foreign Affairs, Health, Industry & Technology and Regional Development. There were members from civil society, human rights league, and political parties, the central bank and the audit court. The level of awareness, interest and commitment to the task at hand was inspiring. In fact, during the course of their questions and the ensuing discussions, I have no doubt that I learned far more from their grasp and enthusiasm for the topics I addressed than my presentation on corruption imparted upon them. 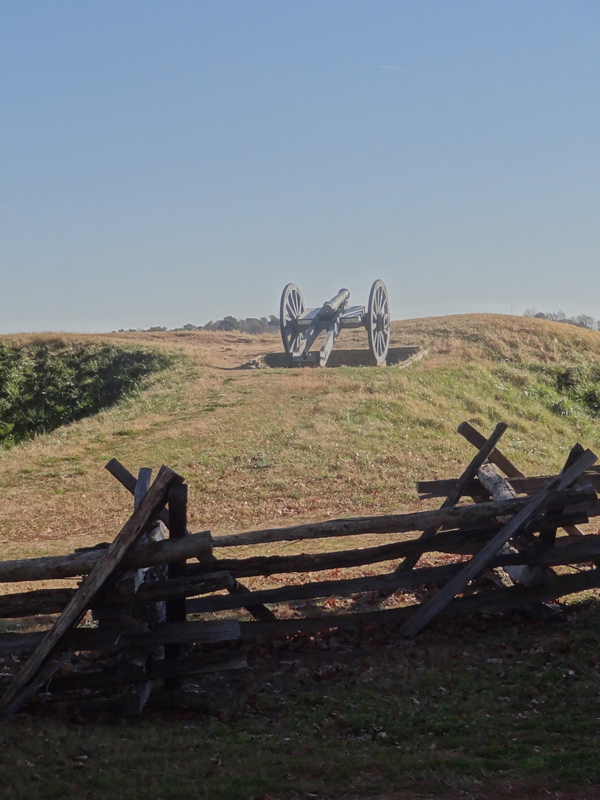 I reflect back on our own history and the concern that many had during the American Revolution that change would open Pandora’s box and unleash chaos and division along the colonies’ ideological, religious and political fault lines. Even key thinkers in Great Britain believed it impossible for the colonies to unite and find common ground. But young, idealistic America proved them wrong. Vigorous debates took place around significant issues including the role, type and size of government; slavery, and individual rights. Disagreements on these key issues threatened to undermine the very foundation of the proposed union. In order to maintain unity among the vastly different colonies, painful compromises were made — including the now unfathomable and much criticized agreement to accept slavery that was made as a concession to the southern colonies in order ensure their support. Despite their seemingly insurmountable differences, the colonies eventually managed to reach a fragile consensus, and united in their demand for independence from Great Britain. So with just a few minutes left before the new year, it is with this that I end this last blog for 2011. Along with this simple wish that whatever your country and whatever your beliefs and political affiliation, I hope for you a happy and prosperous new year based on fairness, equality and justice. I arrived in Yemen the day before the long-awaited Gulf Cooperation Council (GCC) agreement between President Ali Abdullah Saleh and the opposition parties was signed on November 23. The GCC agreement set the stage for the President to transfer power to the Vice President and for the ruling and opposition parties to share power through a unity government. Despite the agreement, fighting and violence continued unabated. Just the day after the agreement, five anti-government protestors were killed and many others wounded. Late that night, from our hotel, we could hear gunfire and an explosion in the distance. Then around dawn, we awoke to the sounds of automatic weapons firing and the echo of what sounded like mortars. At the same time, people went about their business and lives. We drove to the Old City’s souk, and people were busy working and shopping, a testament to the resilience of the people of Yemen. Together with my colleagues Manal Omar and Mark Shaw, we traveled to Yemen to consult with a wide range of stakeholders from across the social, economic, and political spectrum on the challenges facing Yemen. We also sought input on what a justice and security dialogue process would look like. 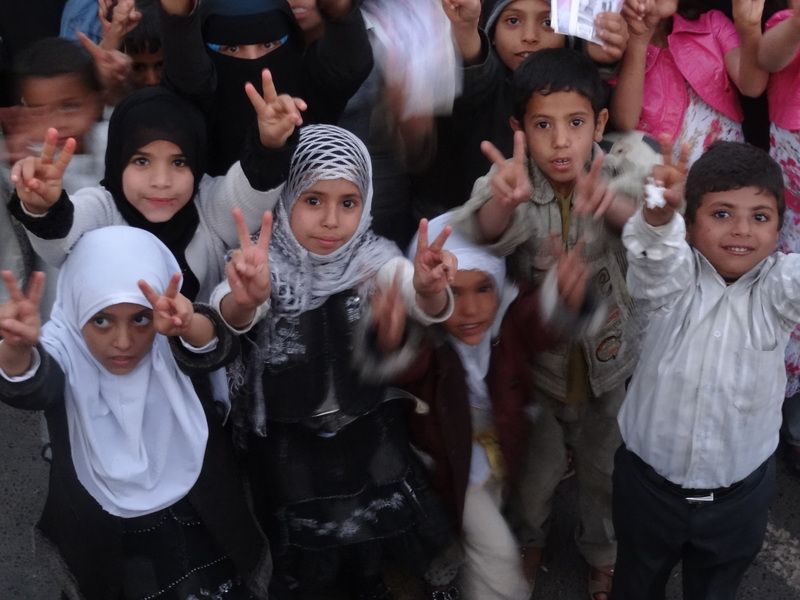 Ideally, one that would bring together all stakeholders to identify concrete steps that can be taken to improve justice and security in the immediate-term, and help create a long-term vision for civil justice in Yemen. Over the course of the week, we had the privilege to meet collectively with over 100 people from civil society, the government, opposition, and youth. I was pleasantly surprised by how friendly and open people greeted us. Even as foreigners, we were warmly welcomed and treated with great respect. Upon learning that our trip coincided with the American Thanksgiving day, our Yemeni colleagues invited us that day for a traditional Yemeni meal — and we joined with our new friends in the spirit of Thanksgiving. While only in Yemen for a short period of time, we had time enough to witness the many hardships so many of its people face. “Welcome to our world,” a youth activist wryly said as the power went out during a meeting, prompting him to direct the glow of his mobile phone interface onto my paper so I could continue to take notes from our discussion. In addition to frequent power outages—where the power is off more often than it is on— Yemenis are subjected to skyrocketing prices for food, gas, and suffer other shortages. Yemenis have become used to patiently spending days in line just to fill up a car with gas, assuming they could afford it. 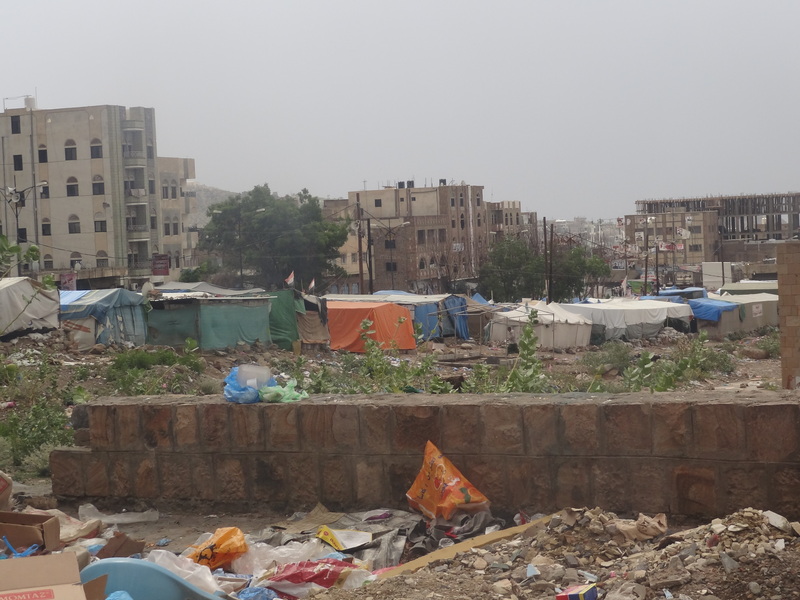 Driving from the airport to the hotel gave us a glimpse into other challenges facing so many Yemenis. Sana’a is largely a divided city, where government, rebel army, tribal, and opposition parties mark their territory using checkpoints, roadblocks, and sandbags. The result is a time-consuming slog to get from one part of the city to the other. The hope is that with the implementation of the GCC agreement, the barriers will be taken down and the military divisions will be resolved. Late for my flight out of Sana’a, having just driven through an area controlled by a tribal leader, a gunshot wrang out. My colleague and I instinctively ducked. Unfazed, our driver smiled and told us it was coming from near a government ministry building that we had just driven past. 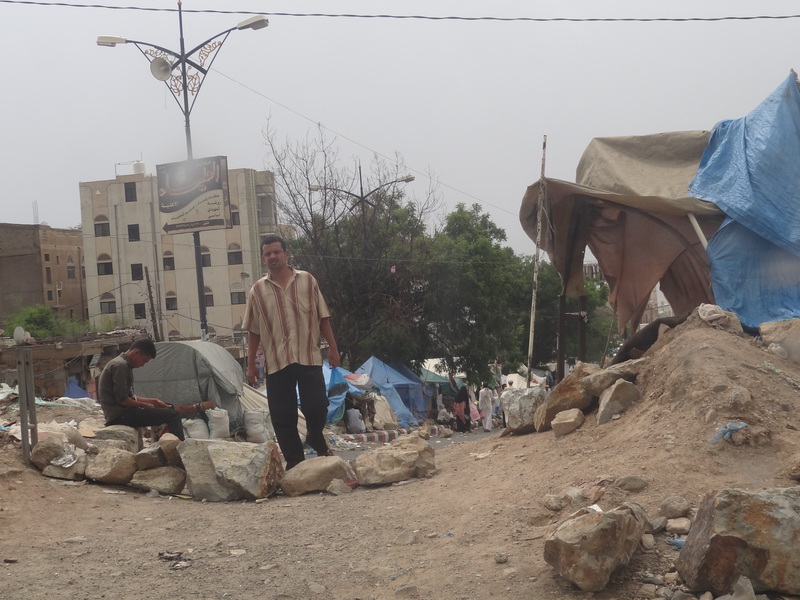 As many Yemenis we met, he seemed used to such errant gunshots while driving around town. Power outages and checkpoints, however, pale in comparison to the suffering caused by the violence that each day makes the lives of Yemenis difficult and threatens the stability of the entire country. 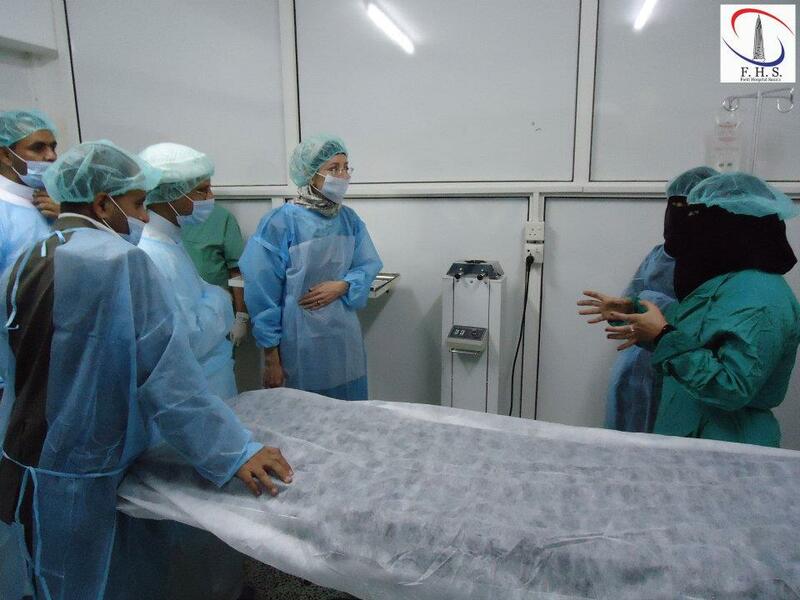 As part of our consultations in Yemen, we were invited to visit the Field Hospital set up by volunteers to treat the injured in the heart of the capital’s iconic Change Square. Just inside the southern gate of Sana’a University, Change Square has since February become the site of an encampment for primarily disaffected youth, opposition parties, and other forces protesting the lack of civil administration and justice in Yemen. The Square is now an elaborate tent city, complete with electricity, permanent structures, an art studio, and the tent “offices” of various disparate organizations and causes. Born of necessity, the Field Hospital found its home in the square’s mosque because the regular hospitals either would not or could not treat the wounded — fearful of retaliation. Since its creation, the Field Hospital, like Change Square itself, has evolved as the conflict has. With modern equipment and provisions provided by Doctors Without Borders and other donors, it is now a full-scale emergency hospital, complete with surgery center, emergency room, x-ray lab, pharmacy, laboratory and ultrasound clinic room. It was there that I met with doctors, surgeons, pharmacists, nurses and other healthcare workers who work tirelessly to save the lives of those caught in the violence. Far too many of these volunteers have become victims of the violence themselves, either hit in the cross fire or targeted because of the assistance they provide the injured. The tour started with viewing photo after photo of those who had been killed. Our host, the director of the Field Hospital, explained the background of their efforts and what the photos depicted. As often as I have seen the carnage of war over the years, I never actually get “used” to it. I look at each person and think about their life, their family, and the fact that through violence nothing will ever be the same for that family and their friends. It makes me wonder how people can do what they do to other people. We then went into a small room to huddle around a computer to view a video of the injured and killed who have passed through the clinic’s doors. I struggled to keep my emotions in check while watching the graphic scenes and to maintain my composure. I admired how my host and all the hospital staff, in the face of such unimaginable violence and hardship, showed such strength, grace, and dignity. As the video played, I noticed a young man, maybe in his late 20’s, whose eyes betrayed a depth of pain and trauma. As the video presentation concluded, the man was asked to stand up and reveal his bare chest and back. I was told that he was a healthcare worker who had been abducted, detained for weeks, tortured, and only recently released. I was told that the starburst-shaped, burn-like marks etched into his back were the result of electric shock. He also had a bright red welt across the length of his chest. At first I worried that the simple act of being asked to show his injuries could trigger further trauma to the young man. However, when I shared my concerns with my host, he reassured me that, no, actually, the act of bearing witness to what had happened to him, helped give the young man back the power that had been taken away. As we left the small room, we came to a laboratory, complete with refrigerator full of bags of donated blood for emergency transfusions. Then our host took us to the pharmacy, a room the size of a large closet. A photo of a man was posted on the cinderblock wall in between two well-stocked shelves. I was told that he was a pharmacist who had been killed in the violence. We also viewed the X-ray room, where I marveled at how sheets of tin had been pounded and nailed to the walls to improvise a rudimentary protection from radiation. Then we found ourselves in front of a room where, on the floor before the entrance, were two footprints and a big X, spray-painted in red, indicating that uncovered shoes were not permitted. This was the operating room. At that point, we all donned disposable scrubs, masks, head covers, and booties. 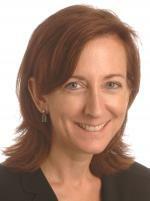 In the operating room, I spoke with two female scrub nurses. They mentioned how honored they were to be able to serve side by side with their male colleagues to treat the wounded. Our tour ended in the large treatment room, where we learned that the hospital, in addition to treating those injured due to the violence, had also begun to provide basic medical care to the surrounding communities. I was impressed with the incredible ingenuity of the Field Hospital staff who had worked with what they had to create a full service, functioning emergency center. The doctors and other healthcare workers were an inspiration. They assumed personal risk to aid others and reflected a commitment to caring for patients, no matter which side of the conflict they belonged. After we departed the Field Hospital, still processing the dedication of its volunteers and the carnage they deal with on daily basis, I was motioned to the raised platform overlooking Change Square where presentations, announcements and even entertainment take place. As I stood at the platform’s edge, peering over at the expanse of women and children preparing for Friday prayers, one, two and then a crowd, children first, then women, came toward the platform, many holding up their hands and fingers in the sign of “victory”, a sign of protest and defiance in the face of the hardships and country’s poor governance that they face. When I left the podium, I was surrounded in a sea of children and a chorus of “hellos.” One after another, the children jockeyed to shake my hand. As I reached for hand after tiny hand, I could not help but be moved by the contrast between what I had just witnessed in the Field Hospital and the hope and optimism of these children. Traveling to countries suffering from the ravages of conflict and meeting those caught in the crossfire, always leaves a lasting impact on me. 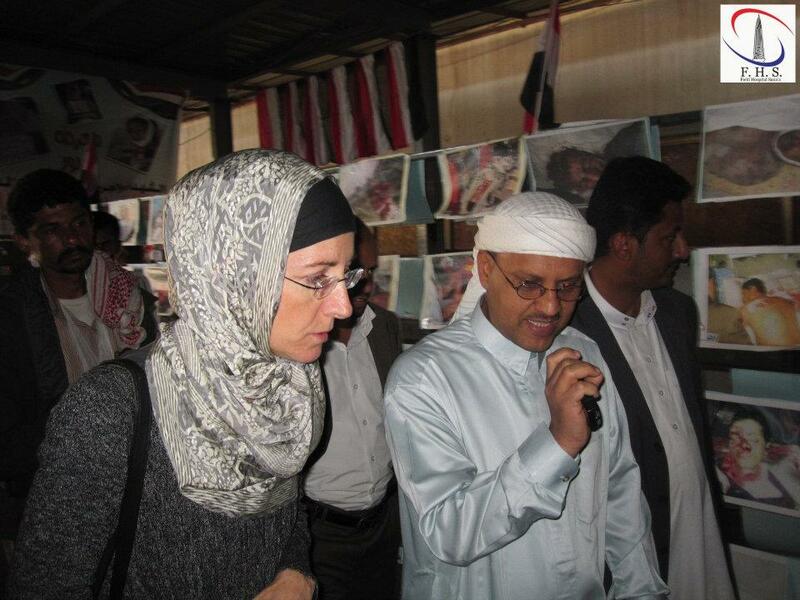 My brief time in Yemen was no exception. Even after returning to the United States, I find myself still connected to Yemen and its people and their stories, not able to fully integrate back into my own life. 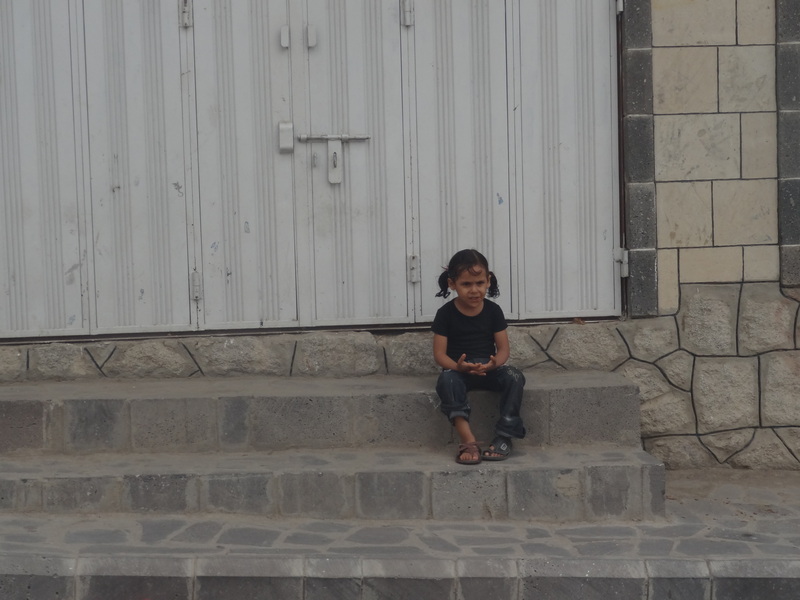 Although my trip was limited to Sana’a, Yemen’s capital, other parts of Yemen are suffering as well. Early on in our visit, I met with three youth activists who had traveled to meet with us from the besieged city of Taiz, a five-hour trip to Sana’a. They spoke of civilians suffering from shelling and fighting, including seeing their friends injured and killed. They talked among themselves about how many friends each of them had buried. But despite all of this, they also spoke of their hope for peace to come to their city and of their insistance that the youth be given an active voice and role in building that peace. 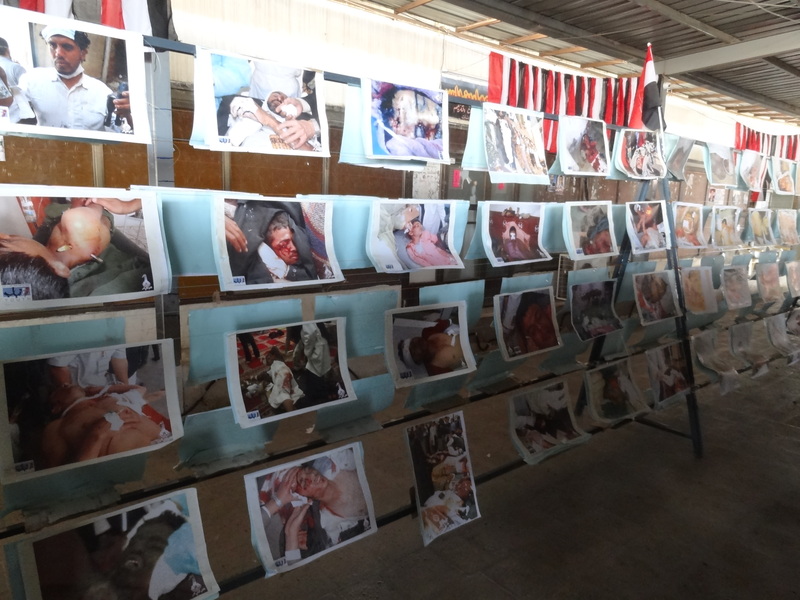 Upon my return back to the US, in following the media, Twitter and other social media, I learned that the death and injury toll in Taiz increased to even greater numbers and wonder how those I met from Taiz are faring. While various sides differ as to who is responsible for the violence and what is feeding its continuation even after the GCC agreement, there is a growing consensus that the time for bloodshed is past. We heard over and again how it is now in the interests of all Yemenis to reach practical solutions to provide the stability necessary to rebuild. We heard from youth and elders alike how the youth can be looked to for inspiration. The youth are peacefully demanding a society that abides by the rule of law, one where governments are accountable to the people and corruption is actively countered. The international community can support the youth’s and other Yemeni’s ideas on how to build a civil state that is founded on justice, freedom and security for all Yemenis. Peace, justice and security cannot take hold where certain factions use fear and violence to divide the country’s people, where peaceful protestors and other civilians cannot demonstrate without facing death or where only a small group of people monopolize the country’s resources and power. Contrary to what the news headlines convey and any preconceptions I may have had before traveling to Yemen, having met so many resilient people from every sector of society collectively conveying a desire and vision for an inclusive and just Yemen, their unyielding commitment to seeing that vision through, no matter the cost to themselves, and their optimism – even if cautious optimism — I left Yemen feeling hopeful for the future of their country, despite the looming challenges that still lie ahead. Caution: Segments of this video are graphic. Viewer discretion is advised. I did not plan to spend Thanksgiving Day in Yemen. As a matter of fact, I had ordered a fresh turkey from the Community Supported Agriculture (CSA) farm that I support. I was ready to brine the turkey, whip up some potatoes, and create a variety of side dishes from the new edition of Bon Appetit magazine. I looked forward to sharing the meal with my family. But in my line of work, sometimes plans need to be changed. We had planned to travel to Yemen earlier this month but there had been a serious increase in violence, leaving many dead in Sana’a, Yemen’s capital. This would not only make security a challenge, but would signficantly decrease freedom of movement around the divided city with armed checkpoints indicating the pro-government and pro-opposition factions. In this environment, meetings would not be productive. So we regrouped and rescheduled as soon as a “calm” window appeared open. So on this Thanksgiving Day, in the spirit of its modern meaning, I express gratitude for my family who are sharing this year’s feast without me. 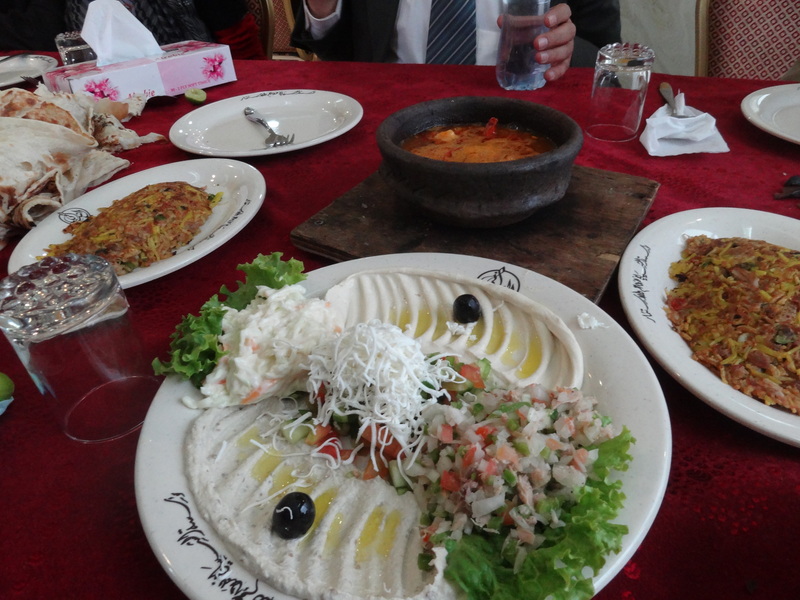 At the same time, I thank my new friends in Yemen for sharing a wonderful traditional Yemeni meal with me. 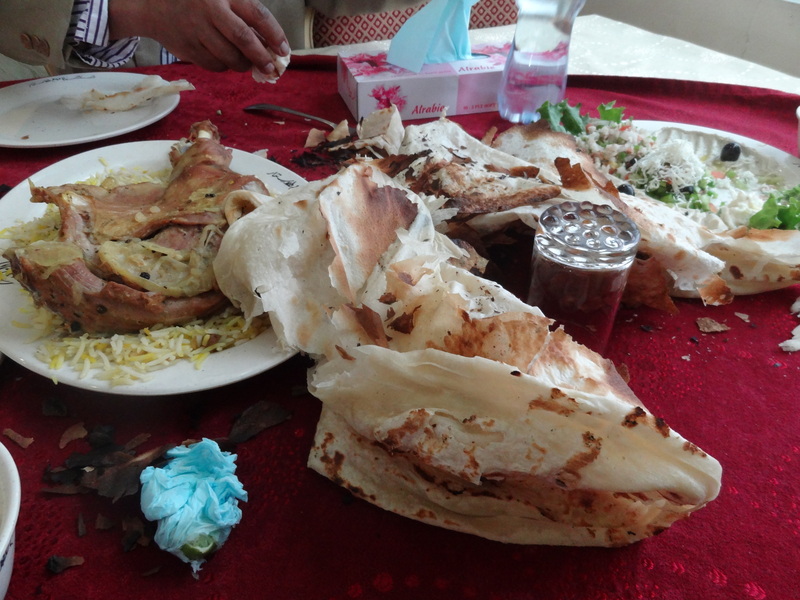 Our Thanksgiving, Yemeni style. It was a truly amazing feast and I plan to find a Yemen food cookbook and pick up some spices before I leave. So I suspect a future blog will report on how my attempts to recreate traditional Yemeni food. So stay tuned…. In conclusion, on the day after the power transfer agreement was signed between the Yemeni President and opposition groups, I wish a peaceful transition for all Yemenis. I met with many brave and amazing youth over the past few days. They have protested peacefully for positive changes in Yemen, despite suffering violent attacks on themselves and witnessing the killings of their friends. The youth in Yemen are an inspiration. They are committed to a peaceful process. As one impressive young woman activist said today, darkness cannot be changed by darkness, but only by bringing in the light. May we all follow this path.